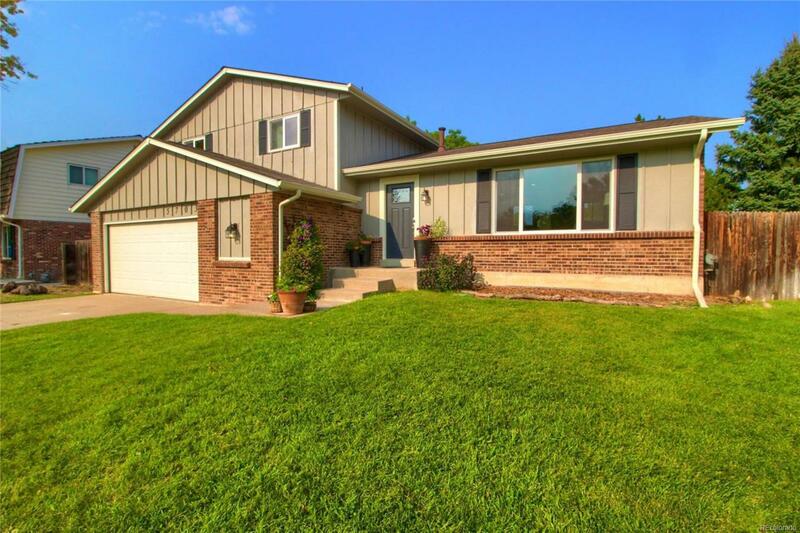 Newly updated, 4 Bed 3 bath home in Leawood. This beautiful, spacious & move-in ready home greets you with a bright & inviting living room. Oversized windows throughout let in tons of natural light. The fully-remodeled kitchen features granite counters, glass mosaic backsplash, large island & maple cabinetry. Cozy up by the wood burning fireplace on cool Colorado nights in the family room. Make your way upstairs to the master bedroom & 2 additional bedrooms & 2 updated baths. The finished basement includes a large den, storage room & 4th bedroom. The spacious backyard has mature trees, a huge yard & room for entertaining. New double-pane windows (2018). New interior & exterior paint (2018). New tile & carpet throughout (2018). Brand new furnace & AC (2019). Set in an ideal location within walking distance to Leawood Elementary, multiple parks and trail makes this home a must see!